Lego’s fan-driven Ideas program has resulted in some of the nerdiest sets in recent memory. There’s the DeLorean from Back to the Future, the Ecto-1 from Ghostbusters, and The Big Bang Theory living room, just to name a few. Now, the toy company is adding Tron to the list. 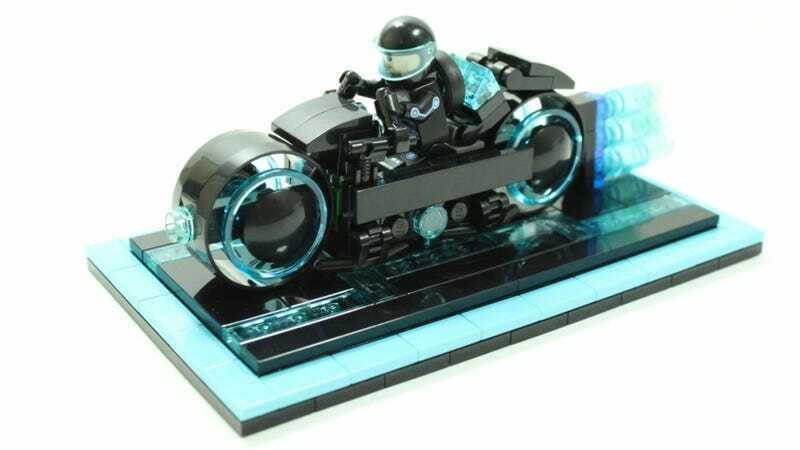 Lego just revealed that it’s going to create a Tron: Legacy Lightcycle set, based on the design of a Lego fan named BrickBrosUK. The final version hasn’t been revealed yet, but here are a few images of the BrickBrosUK set, which will likely be similar. Since the set was just announced, Lego hasn’t revealed pricing or a release date, though we should know more in the new year. For now, just dust off a place off on your shelf. And hope that this thing is successful enough that classic Tron lightcycles won’t be far behind.